HPB is launching a series of educational articles for parents, which include topics such as nutrition, physical activity, mental wellness and even sleep! Click here for more info. Sexuality Education is an important part of your child's education. Please click here for more information. Please click here for more information on cyber wellness. 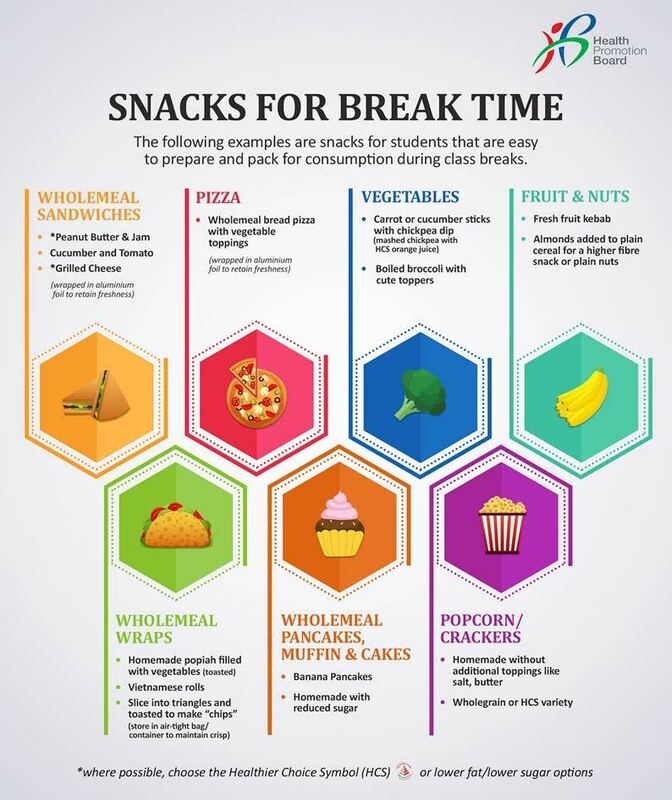 Please click here for useful infographic in preparing healthy snacks for students during class breaks.